Catch and Release Movie Stills. . HD Wallpaper and background images in the Timothy Olyphant club tagged: timothy olyphant actor catch and release jennifer garner. 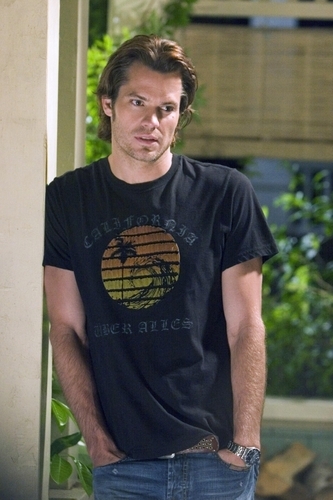 This Timothy Olyphant photo contains jersey, t shirt, t-shirt, tee shirt, and kemeja tee.